Two juveniles, including a 14-year-old Vermont boy, have been charged with making threats against Essex High School that prompted a lockdown and drew a massive police response in April, authorities announced Tuesday. Citing privacy issues in cases involving minors, authorities released few details about the suspects and the investigation that led to them. Officials released no information about the second defendant, except to say that he lives out of state. Authorities said the incident is potentially connected to other national incidents of "swatting," in which callers claim an emergency to draw a SWAT team response and create chaos. "It's connected to a larger national investigation that remains active," Essex Police Chief Brad LaRose said. Essex police said they received a phone call on April 12 from a male who said he was in a position to harm students in the school. The threat prompted officials to put the school on lockdown as heavily armed law enforcement officers swarmed the campus. LaRose said authorities know the juveniles' motive, but the chief declined to elaborate during a press conference at the Edward J. Costello Courthouse in Burlington. Acting U.S. Attorney Eugenia Cowles said investigators followed a "digital trail ... to get beyond keyboards and anonymized phone calls." The Essex hoax is not connected to another case, also in April, involving online threats a South Burlington High School student allegedly made against classmates and faculty. 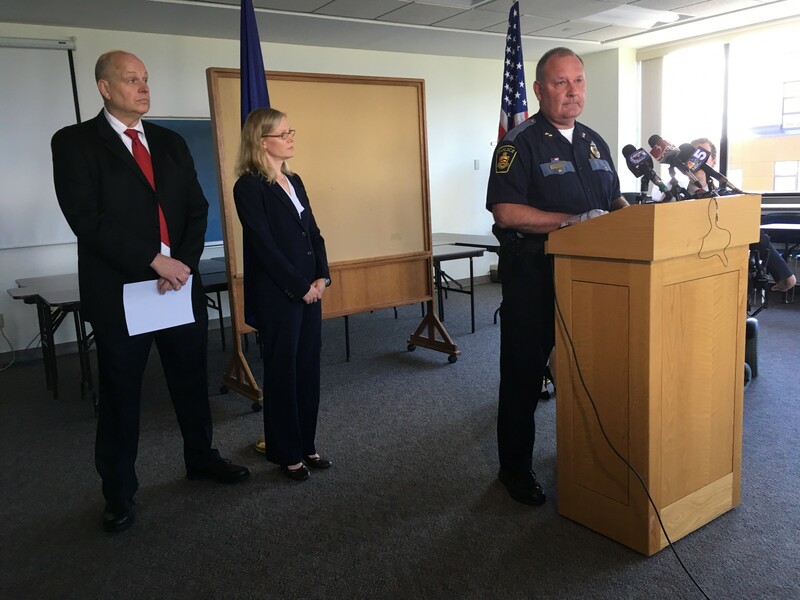 Chittenden County State's Attorney Sarah George said she hoped the arrests would provide "some level of closure to the Essex school district and the town of Essex ... going into their summer vacations." LaRose said authorities initially thought they were facing a "bonafide threat," and only came to realize it was a hoax after several hours. "We have never drilled to the extent that we drilled on April 12," he said. "Law enforcement learned and evaluated and are better in our response today. That's one positive takeaway."